Whether you need a funky shaker groove, Latin Rhythms, some African drums, or some technoize to skim over the top of your tracks - Percussionism has the right samples for your productions. There are full percussion mixes, fx mixes and individual loops of all drums and percussion included in the full mixes for tempos ranging from 60Bpm to 160 Bpm. Many styles are covered including Latin percussion, African drums, Egyptian loops, Progressive, Jazz, Funk and Indian percussion grooves along with more unusual and completely original loops and atmospheric percussion fx! 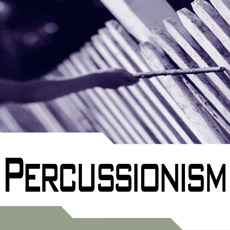 Percussionism is the definitive percussion sample cd and comes in Wav/Rex2/Reason formats and is compatible with PC and Mac computers. No matter what style of music you are making, Percussionism won’t wont be far from your Sampler, check it out today!